Out With The Old & In With The New: When to Get Rid of Your Beauty Products? Concealer: Wand applicator concealers should be tossed within 6 months because they’re likely to grow bacteria. Stick, tubes, or pot concealers can last up to 12 months, especially if you use a makeup brush to apply the product. Pressed powder cosmetics: Facial powder, blush and eyeshadow should be tossed after one year. If you get an eye infection, however, you’ll have to toss out any eyeshadow that you’ve used to avoid re-infecting yourself. Mascara: You should always replace mascara after 3 months. And toss it immediately if it becomes dry, or you develop an eye infection. All-natural/Green cosmetics: These products do not contain preservatives, so they need to be used or discarded within 6 months. 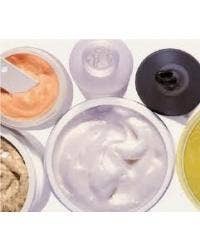 The majority of skincare products are formulated to last 2-3 years, but there are no federal regulations or clear guidelines establishing expiration dates. Always check the package for expiration dates, and toss if it is past it’s prime. Look for tell tale signs that a cream or lotion should be tossed like: the consistency has noticeably changed (it’s thinner, lumpy or separated), the color has darkened, or the smell has altered. Store skincare products in a cool, dry place away from sunlight. Products with retinol and vitamin C are especially fragile and can turn quickly, so they must be stored carefully. To maximize a product’s life, keep your fingers out of it! There’s less risk of bacterial contamination that way. Use the applicator provided or a makeup sponge. Keep containers tightly closed, and store them in a cool, dry place. Don’t use water or saliva to ease the application of a product. This introduces bacteria into the product, which can cause a host of problems. Always use your best judgement, if a product looks, feels or smells weird definitely toss it.